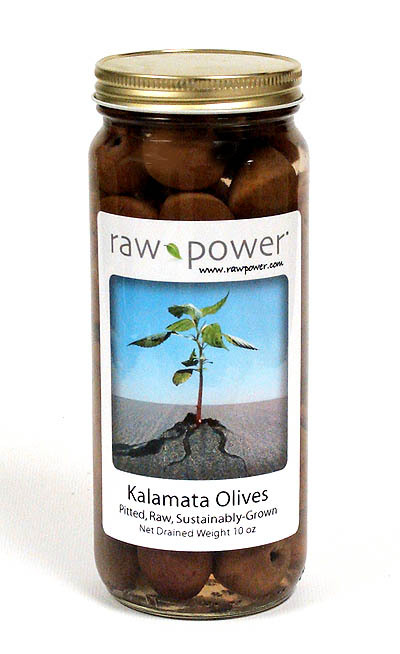 Item #0007: Also known as the original "Raw Power Olives," these delicious pitted, brownish/red, ripe kalamata-style olives are hand-selected then packed in pure water, fresh garlic, fresh oregano, one whole ripe cayenne pepper, and a dash of celtic sea salt. Great on green salads! 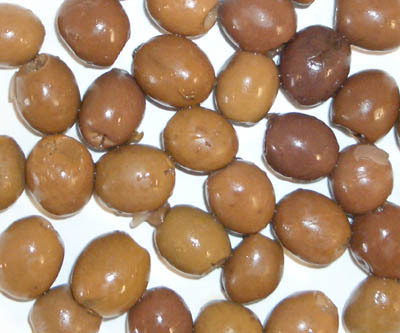 or just snack on them right out of the jar. 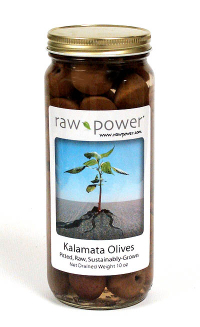 These are the favorite olives referred to in the book "Raw Power!"